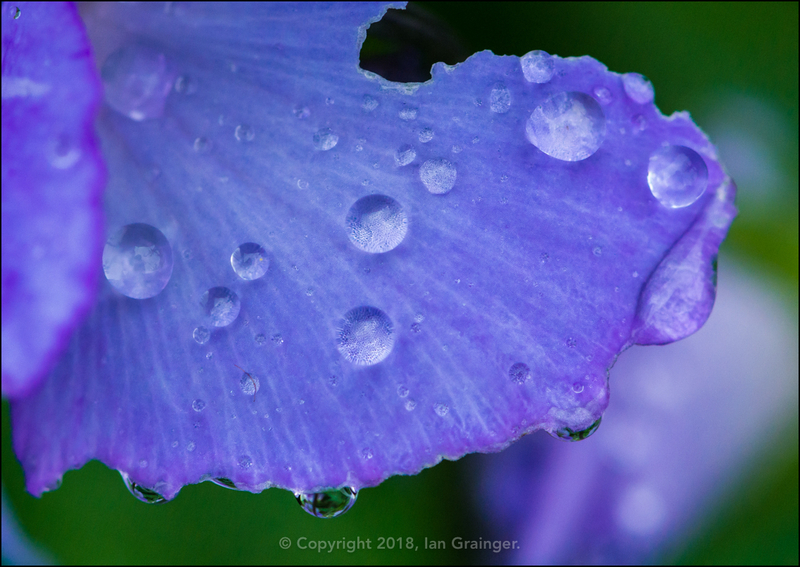 So last week there was a persistent drizzle for my Sunday morning photo shoot in dad's garden, and I got completely soaked within minutes of me stepping outside. This week we had torrential rain that soaked me in seconds. 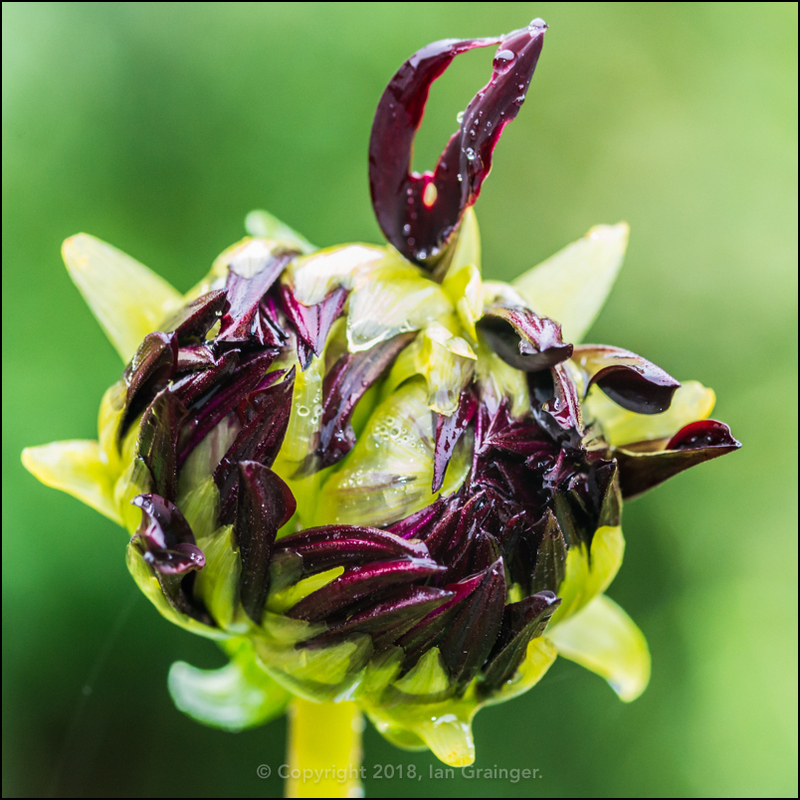 Not to be outdone by the rain, I decided to use it to showcase the majority of the images in this week's article. 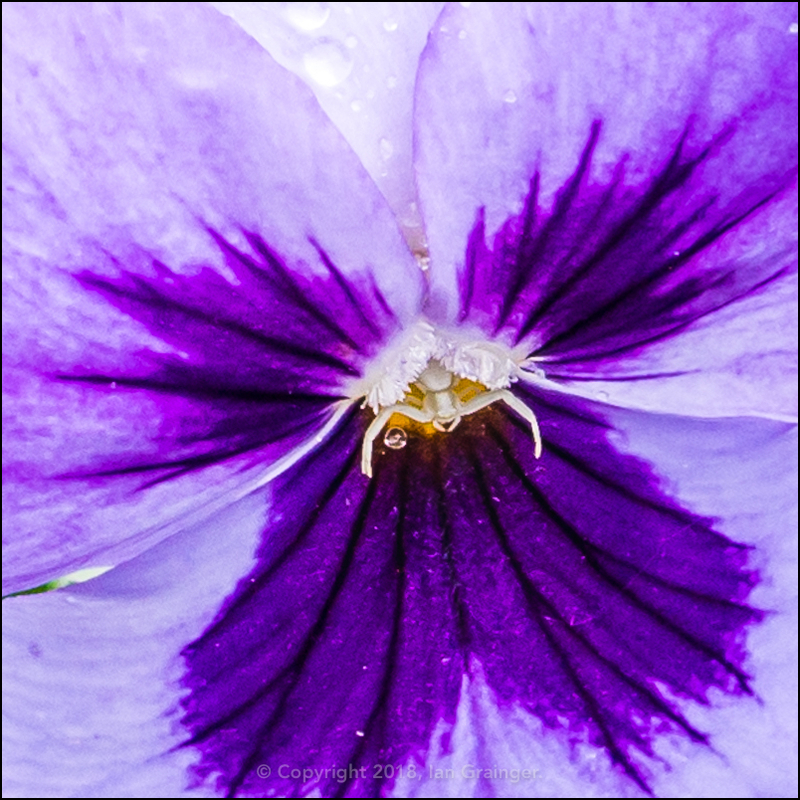 I loved how the perfectly shaped raindrops looked against the dark blue of the Pansy (Viola tricolor) petals. 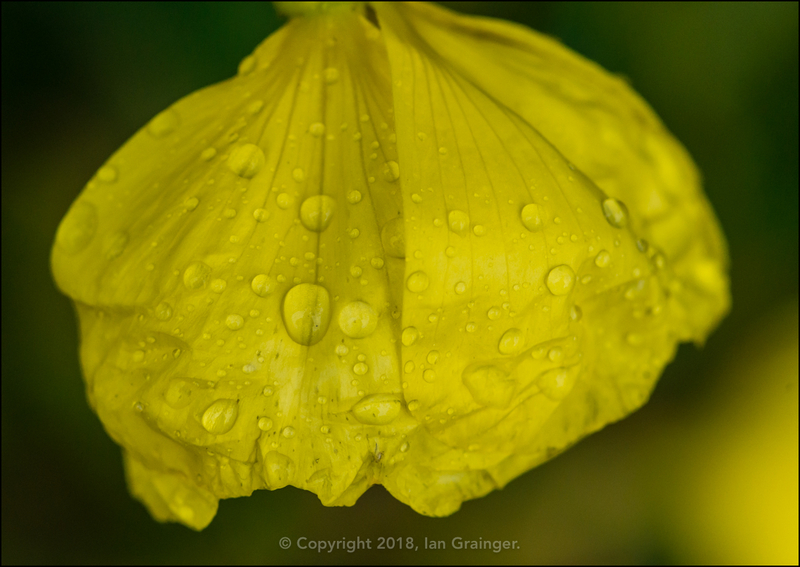 The Evening Primrose (Oenothera biennis) flower heads were weighing heavy under the weight of the raindrops, and were all nodding downwards towards the ground. 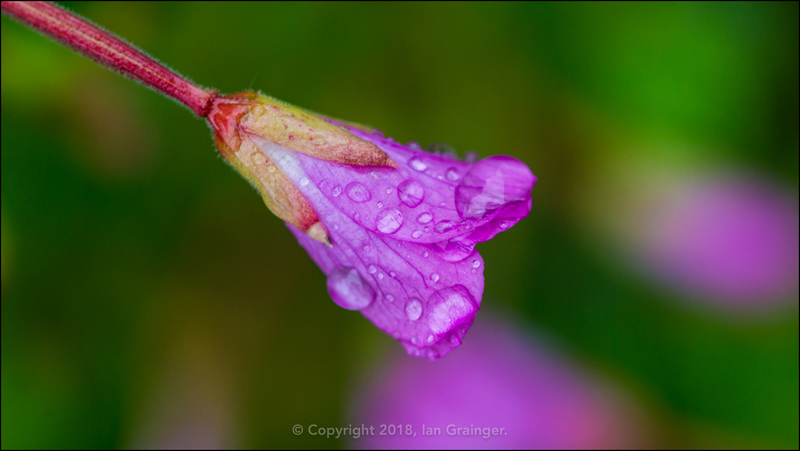 This week the Great Willowherb (Epilobium hirsutum) blooms were staying firmly shut, protecting themselves from the onslaught of the rain. 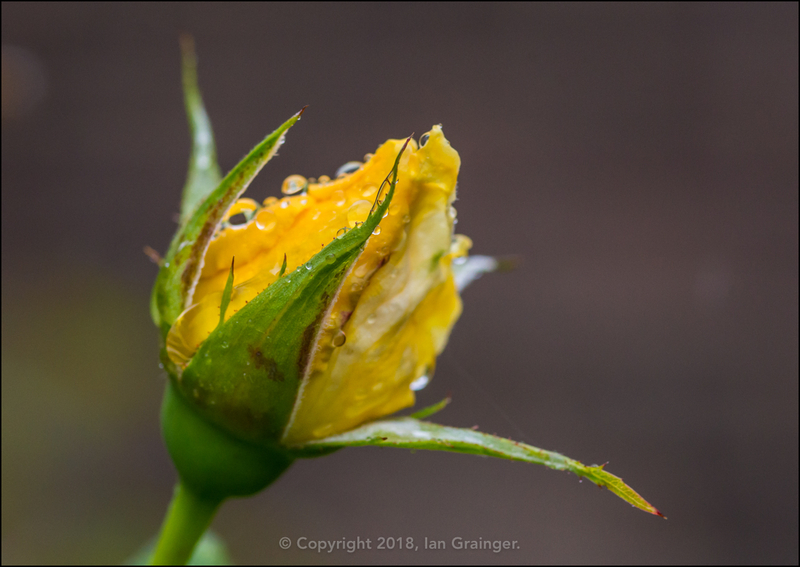 I was quite surprised to see that the Rose (Rosa) 'Peace' was attempting to flower again, as it had already been in bloom for quite a while earlier in the year. The Dahlia 'Nuit d'Ete' I reported on last week had made a little progress, but was still waiting on its big opening day. 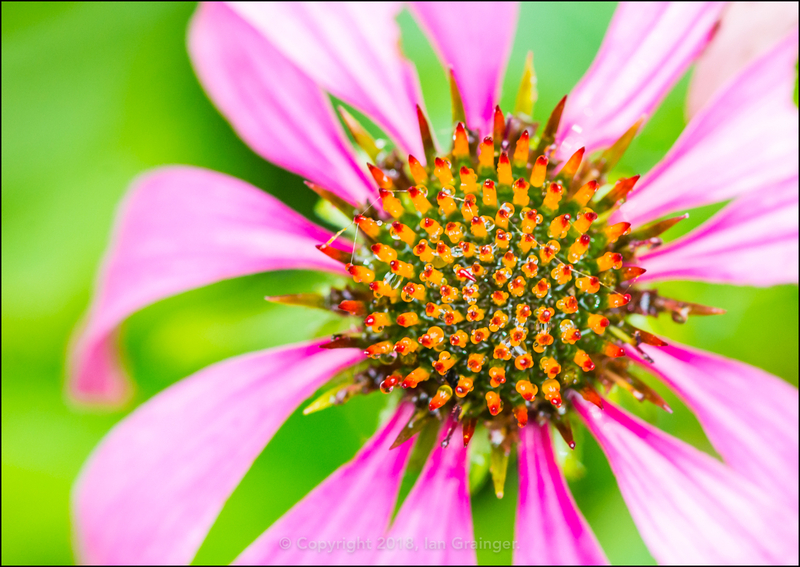 One of the stars of the garden at the moment were definitely the Coneflowers (Echinacea), which always seemed to look bright and beautiful whatever the weather. 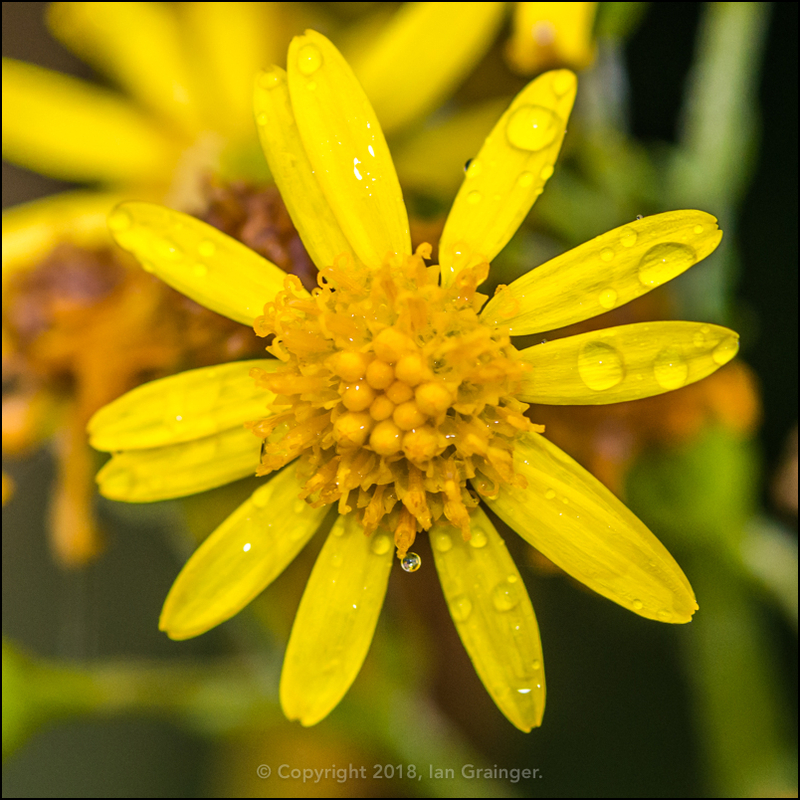 A weed that was looking particularly pretty at the moment was the Ragwort (Senecio). 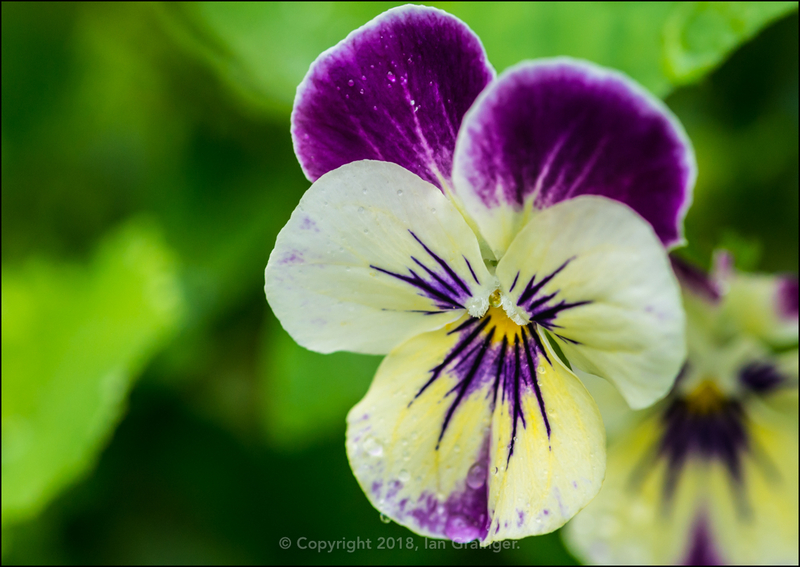 However, probably the prettiest flowers in the garden were the Pansies. This colourful little one definitely caught my eye. This tiny Crab Spider (Misumena vatia) was also finding them an attractive proposition as it sheltered from the falling raindrops. 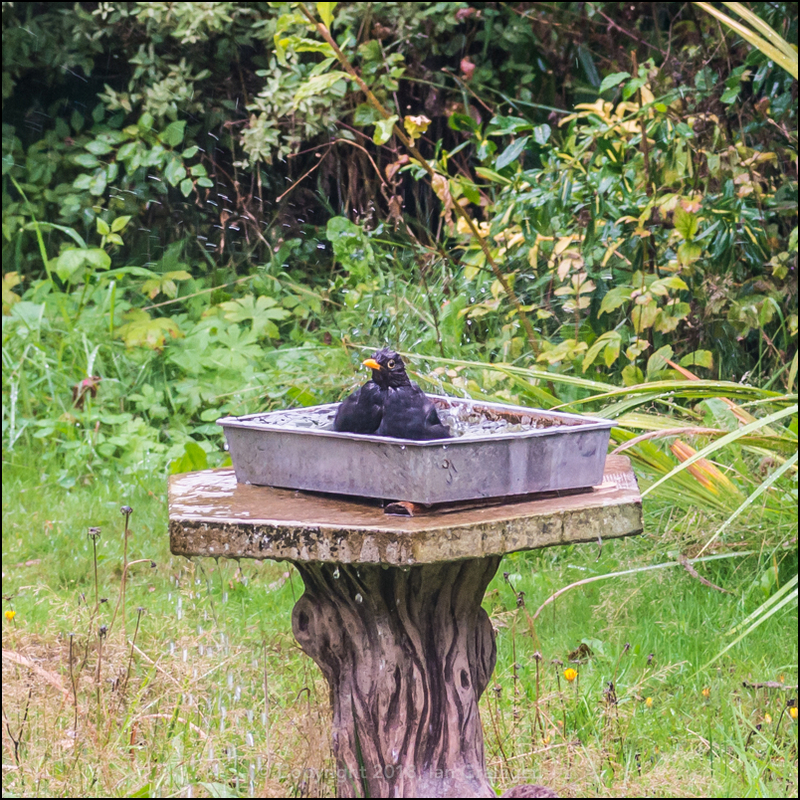 One creature that didn't seem to mind the wet conditions was this Blackbird (Turdus merula), who seemed to be enjoying himself at bath time! Finally my fishy friends! This alien looking thing is actually the remains of a moulted Red Cherry Shrimp (Neocaridina davidi). Every few weeks the shrimp will moult, and grow a new shell. I was lucky that this discarded exoskeleton had been caught up in the sponge filter, in the perfect spot to photograph. 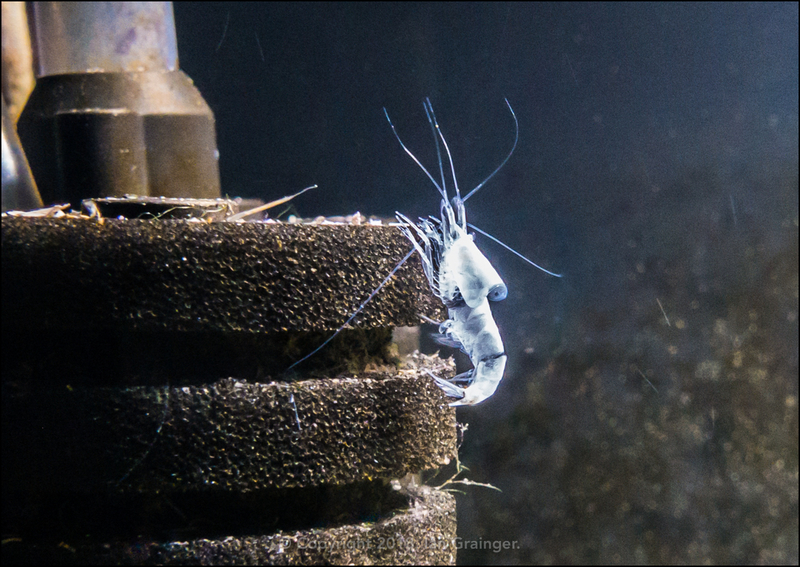 It's usually wise to leave the moults in the aquarium as they are a valuable source of essential minerals, and the shrimp will usually come back and feed on them!